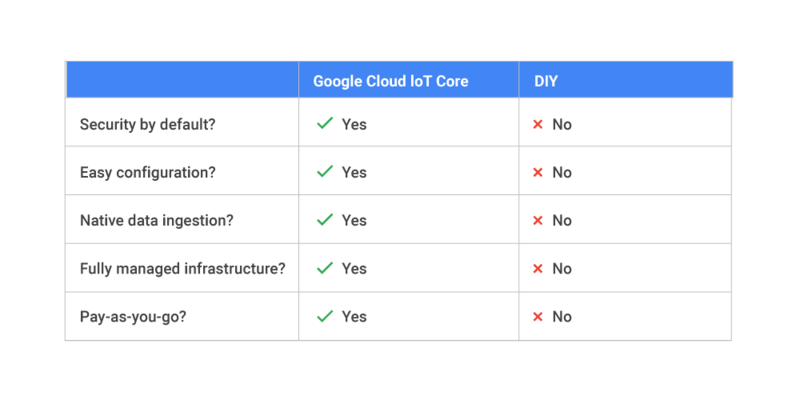 Today we’re announcing a new fully-managed Google Cloud Platform (GCP) service called Google Cloud IoT Core. 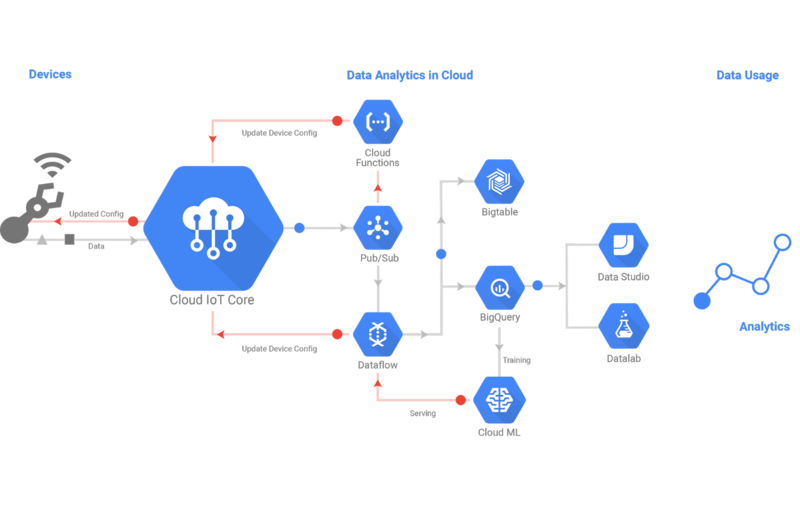 Cloud IoT Core makes it easy for you to securely connect your globally distributed devices to GCP, centrally manage them and build rich applications by integrating with our data analytics services. Furthermore, all data ingestion, scalability, availability and performance needs are automatically managed for you in GCP style. Operational cost and complexity: The overhead of managing the deployment, maintenance and upgrades for exponentially more devices is stifling. And even with a custom solution in place, the resource investments required for necessary IT infrastructure are significant. When generally available, Cloud IoT Core will serve as an important, foundational tool for hardware partners and customers alike, offering scalability, flexibility and efficiency for a growing set of IoT use cases. In the meantime, we look forward to your feedback!